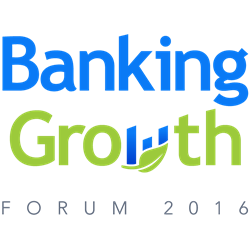 The 2016 Banking Growth Forum participants will leave the event armed with two-days of insights, new tools, and fresh ideas to drive growth in their organizations. Nomis Solutions today announced its 9th Annual Banking Growth Forum to be held at the San Francisco Grand Hyatt Hotel on May 18-20. The Banking Growth Forum is the only retail banking conference exclusively focused on growth. This year’s event will bring retail-banking experts from around the world together with Fintechs to focus on “Reinventing the Growth Playbook.” This year’s event comes at a pivotal time as bankers are seeking new strategies and new technology to help navigate the first US rising interest rate climate in more than a decade. This annual event, formerly known as the Nomis Forum, is taking on a very different flavor starting this year. The two-day conference will bring together 125 executives from 30 of the largest global financial institutions and some of the biggest names in financial technology to zero in on the key levers of retail banking growth. Past attendees can be found here. Conference registration and more information can be found at the Banking Growth Forum website. Speaker applications and media credential inquiries are being handled by Emily Peters who can be contacted at emily(at)uncommonbold(dot)com.